Mix in bowl, combine everything except the blended oil and mix slowly. Incorporate the oil into mixture until emulsified. Marinate pork for 24 hours. Preheat grill to high. 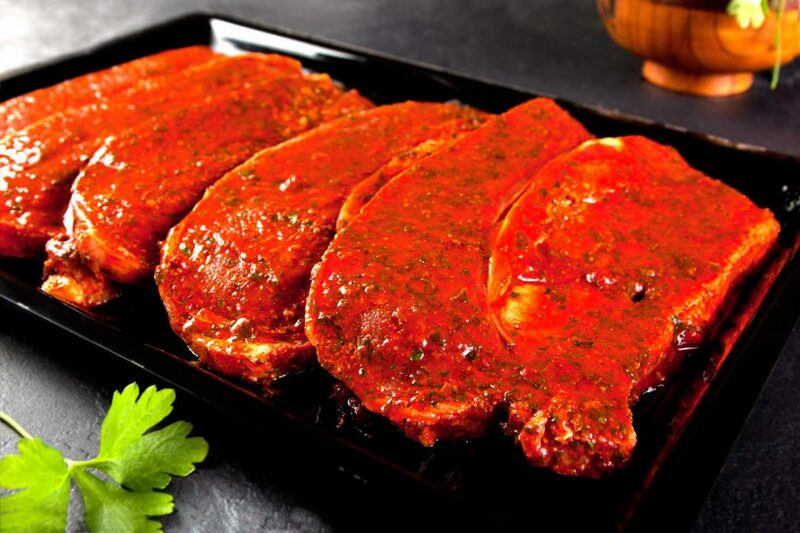 Once grill is hot wipe off excess marinade from the tenderloin, then place on grill not directly over hot spot. Cook tenderloin 2 approximately 2 minutes on each side, continue rotating until internal temperature reaches 140 degrees. Allow it to rest 5 minutes before serving.